Class 15AR 4-8-2 No. 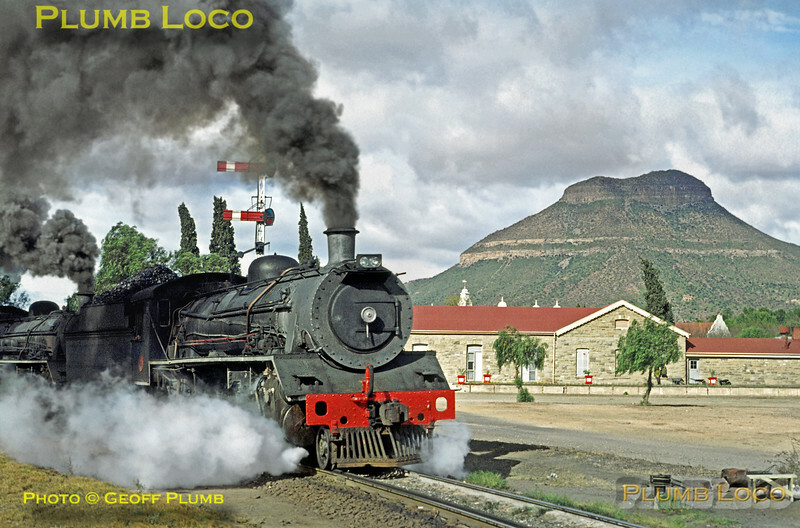 1805 has come off the train at Graaff-Reinet station and the two 19B 4-8-2s, 1404 and 1405, have backed on to the train and the “Mossel Bay Express” starts away past the signals on the next stretch of its journey over the Lootsberg Pass. Friday 1st September 1972. Slide No. 9635.